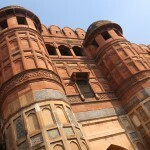 I’ve been sitting in the back of an SUV for the last 4 hours, fidgeting in my seat while enduring the drive from Delhi to Agra. 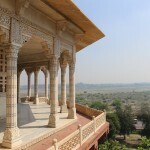 I’m playing MIA’s Matangi album on repeat in an attempt to add an anthem to the rural Indian scenescapes that whip past as I sail along the highway. 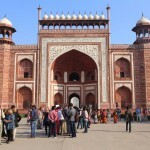 Thousands of tourists take this journey every year en route to Agra, the home sweet home of India’s crown jewel, the Taj Mahal. 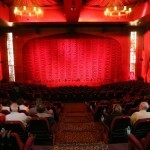 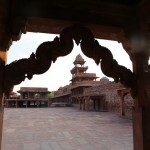 I’m shocked when I discover the majority who visit this magical place do so on a wildly rushed day trip. 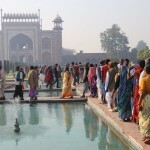 The typical itinerary isn’t pretty: early morning wakeup call in Delhi, 5 hour drive to Agra, a quick tour of the Taj Mahal in the afternoon when the attraction swarms with tourists and heat waves reach their peak followed by another 5 hour drive back to the capital where I can only assume fatigued folks slump into their beds exhausted. 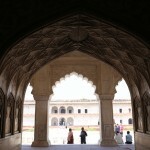 It’s after I spend 48 hours here that I realize most are missing out on all that Agra has to offer. 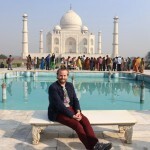 If you’re keen on exploring the region right, take in a few of my favourite experiences and create a well rounded adventure which will have you relaxing over fond memories rather than fixating on fatigue. 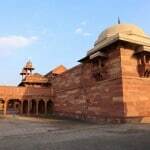 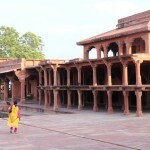 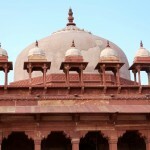 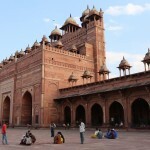 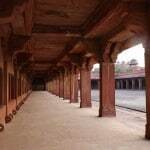 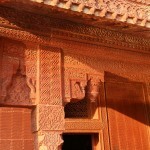 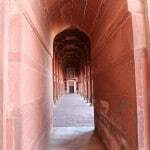 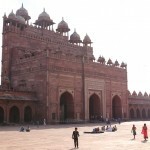 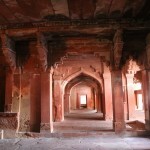 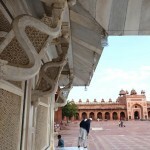 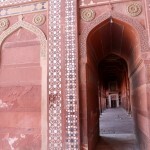 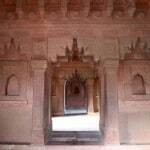 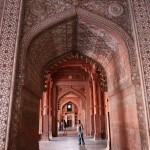 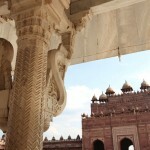 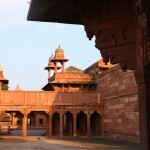 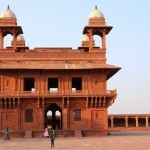 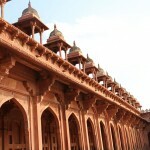 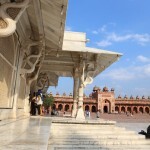 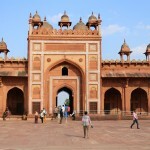 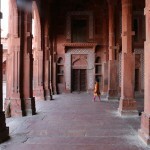 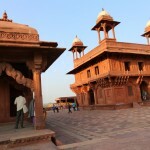 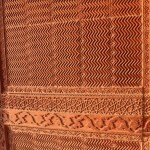 If you depart for Agra in the early morn make your first stop at the ghost city of Fatehpur Sikri. 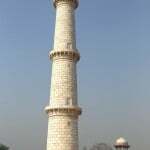 The formal imperial capital of the great Mughal emperor Akbar, straddles the crest of a rocky ridge on the Agra-Jaipur highway. 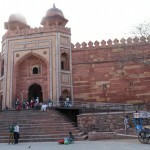 The city was built here between 1569 and 1585 as a result of the emperor’s enthusiasm for the local Muslim divine Sheikh Salim Chishti. 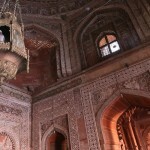 The fusion of Hindu and Muslim traditions in its architecture says a lot about the religions and cultural tolerance of Akbar’s reign. 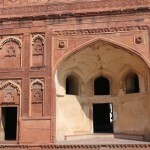 Fatehpur Sikir’s period of pre-eminence was brief, however, and after 1585 it would never again serve as the seat of the Mughal emperor. 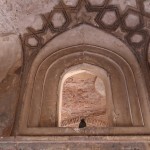 As I skipped through massive mosque and pretty palace I couldn’t help but stand in shock that so much work would be directed to produce such a fantastical structure only to be abandoned a few years later. 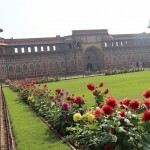 Shunning the Hindu tradition of aligning towns with the cardinal compass points, Akbar chose to construct his new capital following the natural features of the terrain, which is why the principal thoroughfare, town walls, and many of the most important buildings face southwest or northeast. 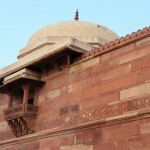 The mosque and most private apartments do not follow the main axis, but face west towards Mecca, according to Muslim tradition, with the palace crowning the highest point on the ridge. 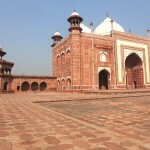 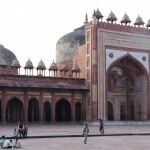 Southwest of the place complex, with the village of Fatehpur Sikiri nesting at its base, stands the Jama Masjid (Dargah Mosque), one of the finest in the whole of India. 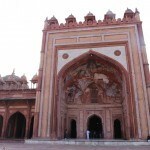 The mosque was apparently completed in 1571, before work on the palace commenced, showing the religions significance which Akbar placed on the entire site. 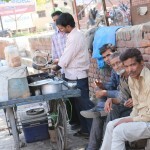 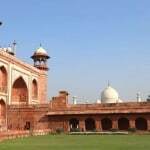 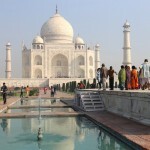 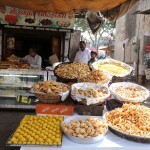 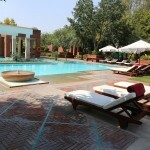 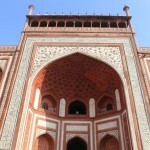 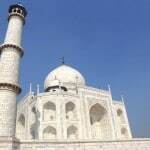 The following morning I prepared myself for a jam packed day which would begin at the towering Taj Mahal. 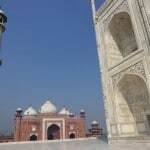 Described by Bengali poet Rabindranath Tagore as “a teardrop on the face of eternity,” the Taj Mahal is undoubtedly the zenith of Mughal architecture. 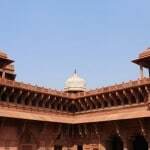 Volumes have been written on its perfection, and its image adorns countless glossy brochures and guidebooks; nonetheless, the reality never fails to overwhelm all who see it, and few words can do it justice. 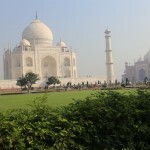 The Taj is at its most alluring in the relative quiet of early morning, shrouded in mist and bathed in a soft red glow. 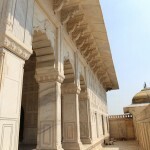 As its vast marble surfaces fall into shadow or reflect the sun, its colours change from soft grey and yellow to pearly cream and dazzling white. 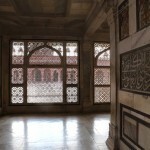 This play of light is an important decorative device, symbolically implying the presence of Allah. 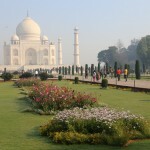 Overlooking the Yamuna River, the Taj Mahal stands at the northern end of a vast walled garden. 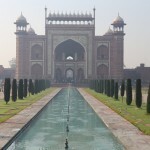 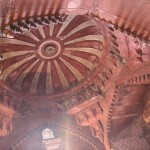 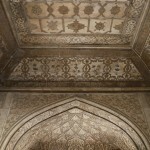 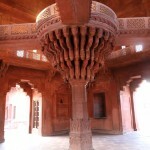 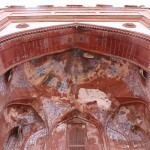 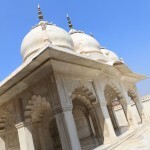 Though its layout follows a distinctly Islamic theme, representing Paradise, it is above all a monument to romantic love. 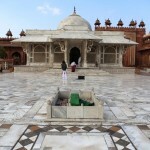 Shah Jahan built the Taj to enshrine the body of his favourite wife, Arjumand Bann Begum, better known by her official palace title, “Mumtaz Mahal (“Chosen One of the Palace”), who died shortly after giving birth to her fourteenth child in 1631. 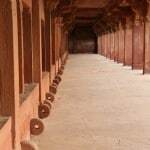 The number of children she bore the emperor is itself a tribute to her hold on him, given the number of other wives and concubines that the emperor would have been able to call on. 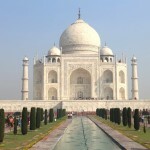 The emperor was devastated by her death, and set out to create an unsurpassed monument to her memory – its name, “Taj Mahal,” is simply a shortened, informal version of Mumtaz Mahal’s palace title. 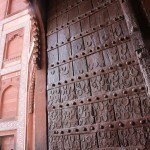 Construction by a workforce of some 20,000 men from all over Asia commenced in 1632 and took more than twenty years. 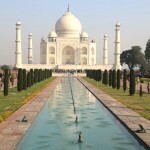 The Taj truly is the world’s ultimate symbol for lost love. 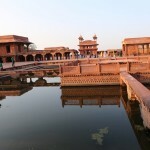 The city’s second most popular attraction, Agra Fort, dominates a bend in the Yamuna River 2km northwest of the Taj Mahal. 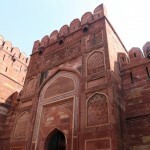 Akbar laid the foundations of the majestic citadel, built between 1565 and 1573 in the form of a half moon, on the remains of earlier Rajput fortifications. 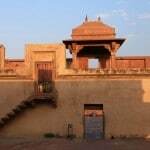 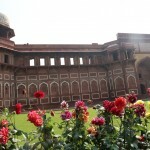 The structure developed as the seat and stronghold of the Mughal Empire for successive generations: Akbar commissioned the walls and gates, his grandson, Shah Jahan, had most of the principal buildings erected, and Aurangzeb, the last great emperor, was responsible for the ramparts. 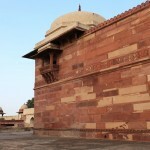 The curved sandstone bastions reach a height of over 20m and stretch for two and a half kilometres, punctuated by a sequence of massive gates. 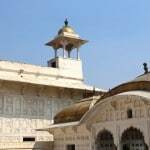 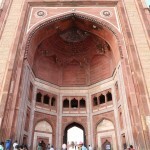 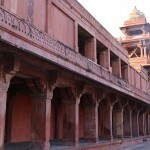 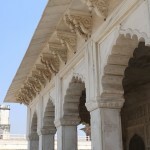 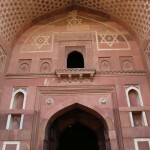 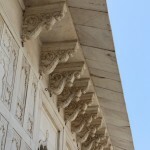 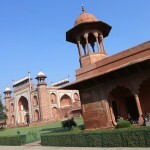 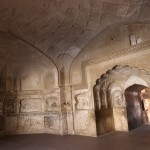 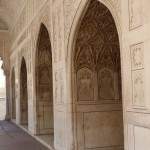 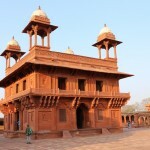 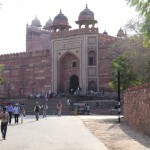 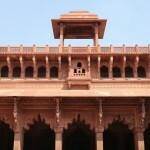 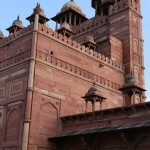 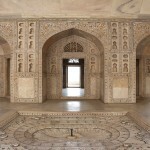 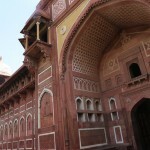 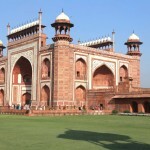 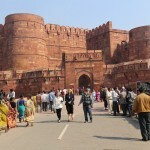 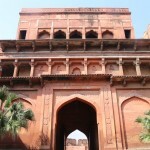 Agra Fort is a perfect spot to stroll in the early afternoon as a refreshing breeze whisks its way through the complex. 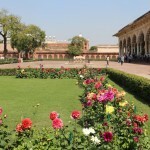 Skip through lush gardens, pretty palaces, marble Mosque and petite passageways which make getting lost in time an easy endeavour. 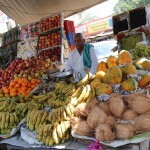 Just as the sun was beginning to blast a heat wave across the city I pressed my guide to take me on a tour of the local market. 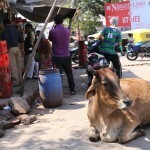 I was so happy to have an opportunity to skip through Kamla Nagar Market, jumping between bleating rickshaws and dodging swerving bicycles and stagnant cows. 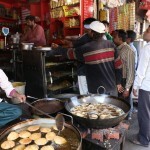 Very few tourists visit the Kamla Nagar which is sad as I can attest that it offers the most energized, colourful and authentic experience in the city for those looking to tap into a local way of life. 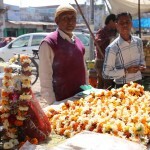 The streets were of course jammed with traffic but in an organized chaos sort of way where everyone knew their place and rarely stepped on each others toes. 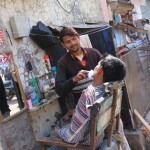 Sidewalks were overflowing with vendors and small businesses offering up massive mangos, bushels of bananas, sweet baked treats, fried and spicy savouries and even an al fresco barber who offered his clients a clean shave in a humbling back alley. 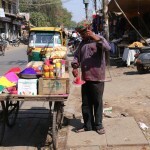 I felt so lucky that I was running through the market the day before Holi Festival, one of India’s most famed holidays where multicoloured pigments are tossed through the streets along with water balloons and shimmering sprinklers. 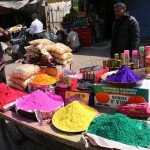 Several gents wheeled their way through the crowds with pyramids of bright yellow, cool cobalt and pretty pink pigments which quickly got scooped up by mothers indulging in a last minute shopping binge before the big day. 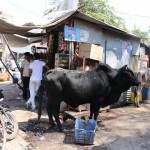 After dodging the markets diesel filled streets I quickly turned on my heels for a change of pace, on the search for a little peace and quiet. 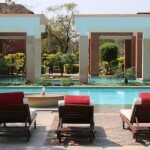 Sprawled across 35 acres, the luxurious ITC Mughal Hotel pays homage to Agra’s medieval charm with its regal Mughal architectural style, delicate use of marble, landscaped gardens and pristine pools. 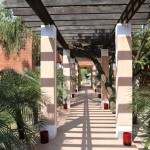 Kaya Kalp – The Royal Spa, is the hotels sprawling 9200 sq metre, multi-award winning oasis with an endless list of accolades including Best Luxury Hotel Spa via World Luxury Awards and the Conde Nast’s award for Best City Spa. 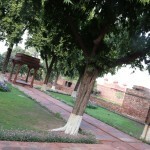 Kaya Kalp follows Mughal tradition in its extensive use of greenery and water. 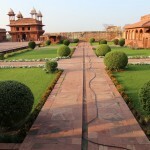 Its interior designers have recreated the very essence of the gardens created by the Mughals and their concept of paradise through extensive use of running water, fountains, outdoor rain water showers, courts full of greenery open to the sky and interiors embellished with stone latticework, mother of pearl and ornate mirrors. 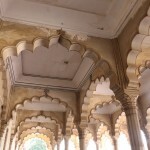 Upon arrival I’m assigned an attendant who walks me through the men’s change room where I’m offered service fit for a Maharaja! 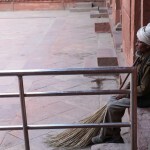 The smiling attendant first helps me remove my cloths, fits soft slippers around my tiny feet and wraps a plush robe around my waist. 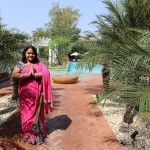 I can’t help but giggle during my pre-therapy regime (15 minutes sauna, 10 minutes steam room, 20 minutes hot tub) as he regularly pops out of nowhere, offering a petite plate of tropical fruit or steaming cup of Assam. 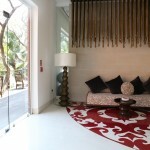 After I’ve sipped myself silly on hot tea I’m greeted by a soft-spoken therapist who quietly escorts me to a lavish treatment room. 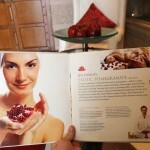 I spend the next two hours indulging in the spa’s signature Exotic Pomegranate therapy which features a trilogy of treatments: pomegranate body scrub, kaya kalp full body massage and a traditional Indian foot massage featuring massive wooden mallet. 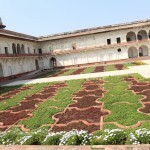 A visit to Kaya Kalp is essential for those looking to explore Agra with ease and is a perfect reward for those celebrating a busy day spent running around on sore feet. 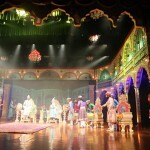 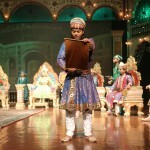 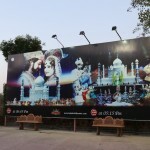 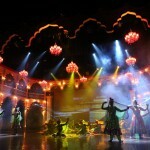 Spend your final evening in Agra tapping into the city’s fashion, dance and music traditions via Kalakriti Theatre’s “Mohabbat The Taj.” The colourful musical offers an excellent (albeit corny) backstory of the Taj Mahal through the lens of Emperor Shah Jahan and Mumtaz Mahal’s eternal love saga. 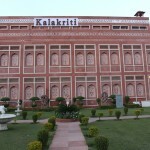 A visit to Kalakriti is a perfect way to cap off the Agra experience especially if you’ve spent your morning and afternoon visiting the Taj in person. 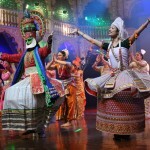 During the 90 minute show guests watch the world’s greatest mausoleum come to life via dramatic vignettes and electric Bollywood ballads. 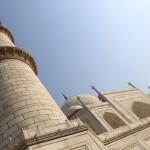 Its awesome finale features the world’s largest replica of the Taj Mahal which sprouts forth from the floor like a Spring flower.